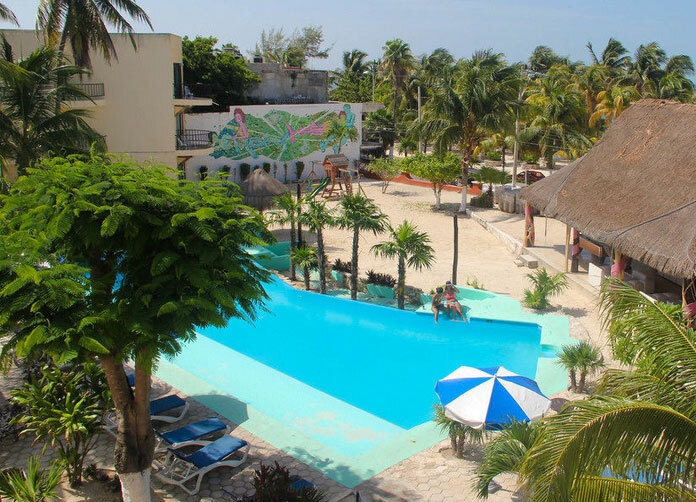 Posada del Mar Hotel Isla Mujeres is an angelic friendly hotel located in a fabulous setting on the beautiful island of Isla Mujeres and fronts the famous wide beach known as Playa Norte or North Beach. 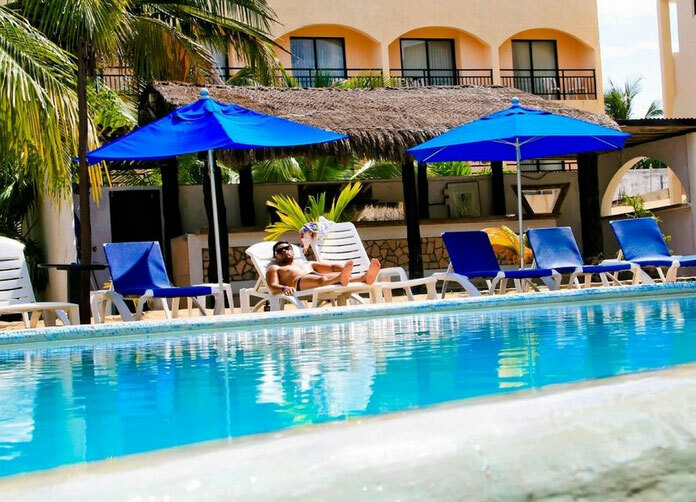 Guests return year after year to Posada del Mar due to its friendly staff and welcoming atmosphere where vacationers are afforded all the comforts of home and more due to the hotel’s excellent facilities. 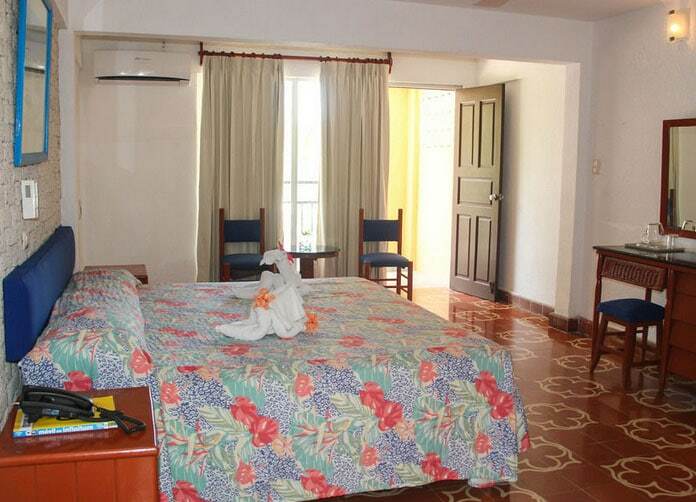 Each room at Posada del Mar is equipped with a king size bed or 2 doubles, so capable of sleeping up to 4 people per room. The rooms are wide and spacious and the decor is contemporary and clean colors providing the perfect base for your valuable vacation. All rooms are air conditioned and include mini bar and room safe. 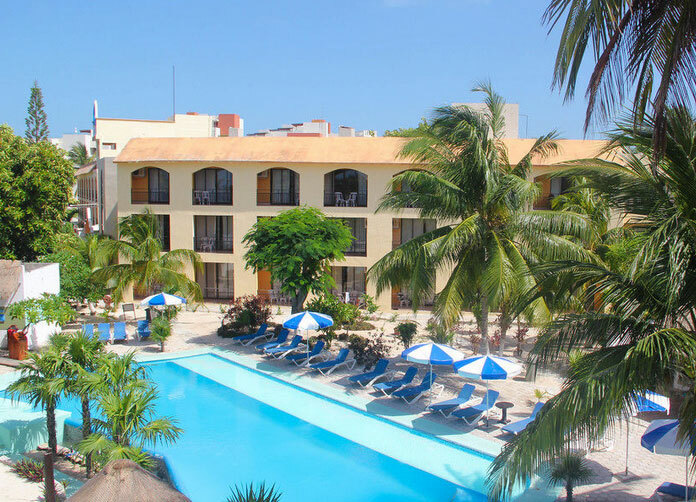 Guests return year after year to Posada del Mar due to its friendly staff and welcoming atmosphere where vacationers are afforded all the comforts of home and more due to the hotel’s excellent facilities. In the recently opened new section of the hotel are located the mini-suites, these have king bed and sofa and are also equipped with a refrigerator and microwave oven and the bathroom has a bathtub/shower combination and double sinks. 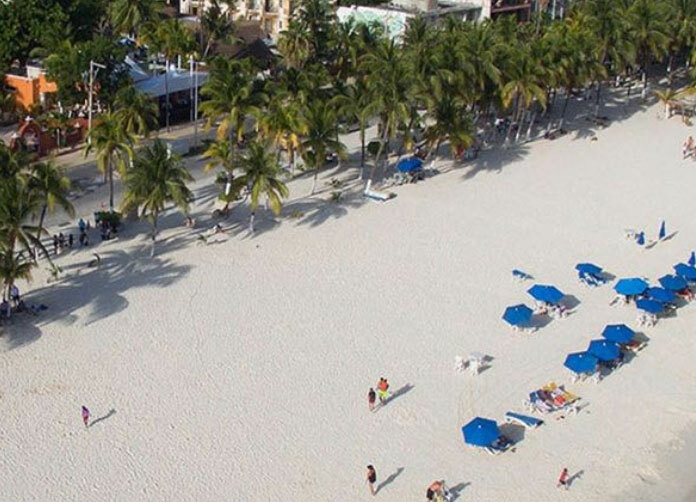 Located on the small island of Isla Mujeres, close to the main stores and shopping areas the palm fringed beach is but a stones throw. Perfect Caribbean sunsets are guaranteed as the sun descends over the Cancun mainland just a few short miles away. 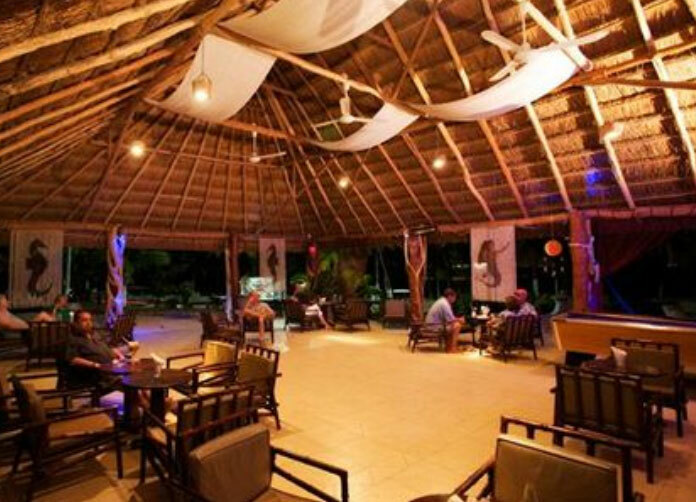 La Palapa: Relax at La Palapa bar with your favorite cocktail made by experienced bartenders just the way you like it. Socialize with other guests and play pool! 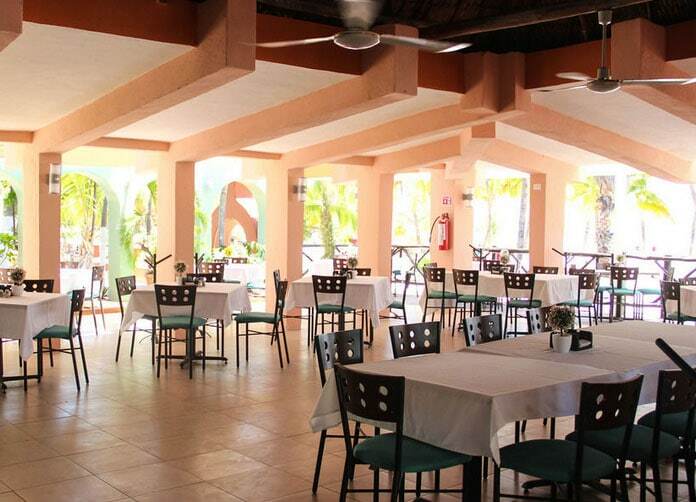 Pinguinos: Breakfast, lunch and dinner is served in the Pinguinos (Little Penguins) restaurant which offers terrific views across the perfect blue Caribbean Sea. 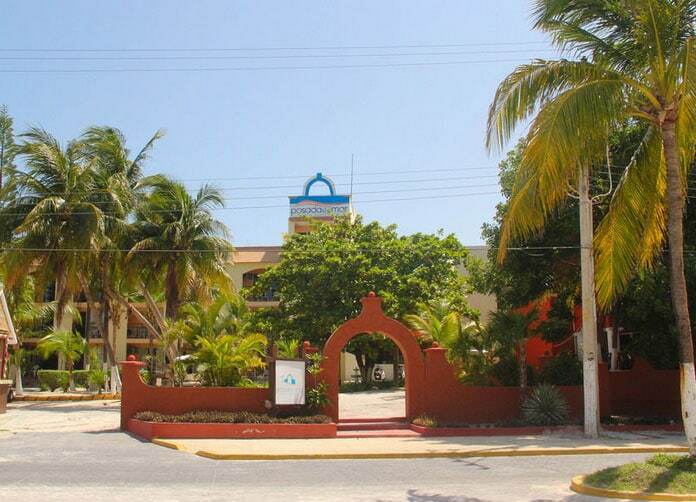 HOTEL POSADA DEL MAR, ISLA MUJERES, MÉXICO. Address: Ave. Rueda Medina N° 15, Centro. Isla Mujeres, Quintana Roo. Airport Distance: 40 Km. (25.00 Mi. ).